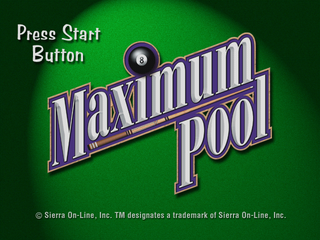 Maximum Pool is a billiards game for the Sega Dreamcast. It was only released in North America. The Game is still online via private servers and can be used with the DreamPi. Main article: Maximum Pool/Magazine articles.